Custom designed and detailed estate in Lafayette’s desirable Happy Valley neighborhood features sophisticated and richly layered interiors, romantic terraced gardens and expansive outdoor entertaining space with pool and cabana equipped with fireplace and full gourmet kitchen. 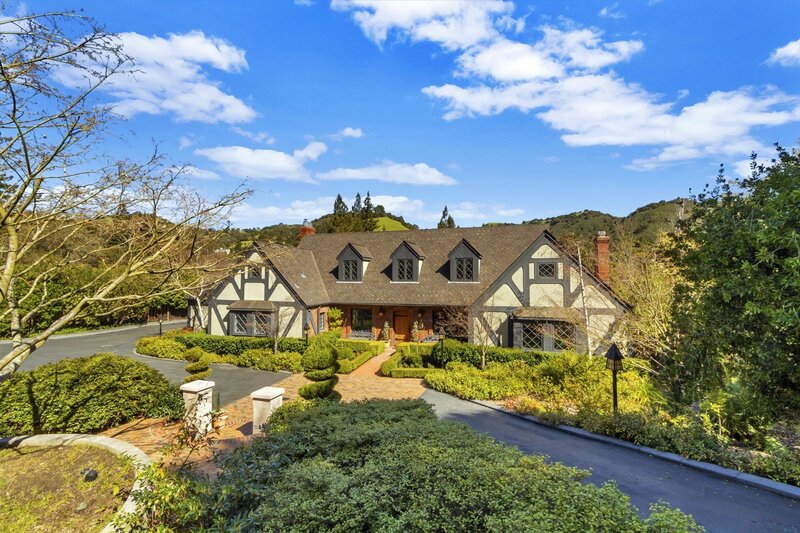 Sprawled over more than ¾ acres, the 3,871 square-foot home features five bedrooms, four and a half baths, formal living and dining rooms, oak paneled library with leaded glass pocket doors, main floor guest suite and well-appointed eat-in kitchen. Additional features include herringbone patterned hardwood floors, picture frame molding, wainscot, built-in oak cabinetry with leaded glass detail, decorative dentil crown molding, custom designed fireplace mantel by sculptor Manual Palos, and gorgeous landscape designs.